In the second half of the 1980s, the situation escalated following an interplay of factors. In addition to the dead-end situation of the occupation, there was the growing infraction of the Israeli settlements, which were increasing both in number and in size, and the expanding infrastructure which came with them. Moreover, the territoires experienced an economic slump which went on for a number of years. Job opportunities for Palestinians in the Gulf States had greatly decreased as a result of falling oil revenues, and the same applied to the Israeli economy, which had also gone into a recession. Furthermore, the PLO had been dealt a heavy blow in Lebanon after the large-scale Israeli invasion in 1982. In the political sphere, things had reached a total deadlock, with the Palestinian representatives barred from all diplomatic negotiations. On 8 December 1987, an incident occurred in the Gaza Strip involving Israeli soldiers and the killing of a number of Palestinians; it was particularly significant since it happened in the largest Palestinian refugee camp, Jabaliya in the Gaza Strip, and it set off the powder keg. From there, the fire spread to the West Bank. Soon, the protests assumed such vast dimensions that they were termed a popular uprising (intifada). 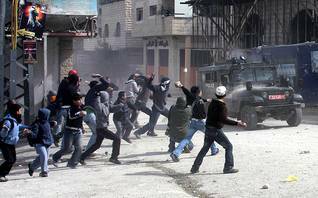 The intifada represented a strong outburst of protest from the heart of Palestinian society. Everywhere, local committees were established, led by a new generation of activists. In order to prevent detection by the Israeli army, they operated underground. Most activists came from the various Palestinian resistance organizations. The local committees’ actions were later coordinated by a United National Leadership (of the Intifada), which was in close contact with the PLO leadership in Tunis, where the PLO had set up headquarters after it was expelled from Beirut in 1982. Key demands of the intifada were the immediate termination of the Israeli occupation, recognition of the PLO as the only official representative of the Palestinian people, and the establishment of an independent Palestinian state (in Palestine). The main methods of resistance were strikes, demonstrations (with boys throwing rocks and stones), and a boycott of Israeli products alongside an active policy of self-sufficiency. Right at the start of the intifada, a new force entered the political arena: the Islamic Resistance Movement (Hamas), which was a Palestinian offshoot of the Muslim Brotherhood. Shortly before, another Islamic orientated group, the Islamic Jihad, had also surfaced. Although the intifada continued until 1993, it lost much of its dynamics with the passage of time. This was particularly because of the harsh methods employed by Israel to crush the Intifada. Images thereof were shown across the world, severely harming Israel’s reputation. Although the intifada was generally characterized as non-violent Palestinian resistance against the Israeli occupation, nevertheless 1,162 Palestinians were killed by the Israeli army or Jewish settlers in the course of six years, and 170 Jewish Israelis by Palestinians, according to the Israeli human rights organization B’Tselem. The impact of the First Intifada – the appellation of the uprising from 1987 until 1993; there would also be a Second Intifada – was huge. It sent out a signal of a strong national identity and the sumud (steadfastness) of the Palestinians in Palestine. Eight months after the outbreak (31 July 1988), King Hussein of Jordan formally renounced Jordan’s claims to the West Bank. In conjunction with this, on 15 November 1988, the PLO unilaterally proclaimed the state of Palestine – with PLO chairman Arafat as its President. Afterwards, it was recognized by more than half the UN Member States. 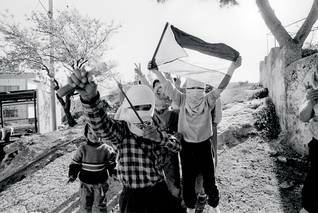 The First Intifada thus contributed to the fact that the Israeli-Palestinian conflict entered a new phase shortly afterwards.